Doors will open at 7:30a.m. for networking and breakfast. The program will run from 8:00a.m. - 9:30a.m. 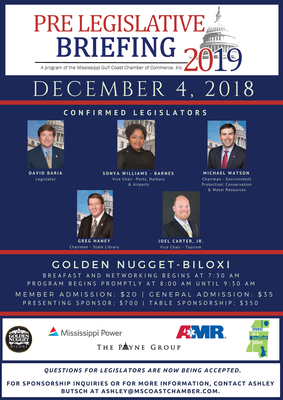 Local Legislators will answer questions regarding the upcoming 2019 Legislative Session.